From July 23–27, 2018, thousands of advocates, researchers, policymakers, journalists, people living with HIV, and others will gather in Amsterdam to share knowledge, discuss critical issues, and reveal new scientific findings at the 22nd International AIDS Conference (known as AIDS 2018). HP+ will be on the ground, participating in these exchanges, and contributing to the 10th International AIDS Economic Network (IAEN) Pre-Conference on Sustainable AIDS Response Results in the Age of Shrinking Donor Funding. 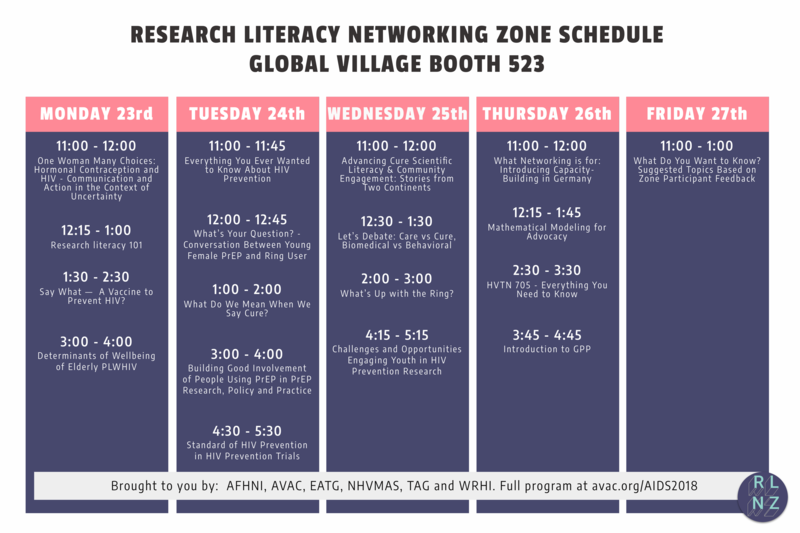 See the roadmap below to locate us at the AIDS 2018 Conference and IAEN Pre-Conference. You can also find us on Twitter and Facebook. Self-reflection and small group work to identify ways that youth seeking HIV and sexual and reproductive health services are being stigmatized and how stigma and discrimination can be addressed in health facilities. Recognizing that youth account for a disproportionate number of new HIV infections and face stigma and discrimination when trying to access HIV and sexual and reproductive health services, the USAID- and PEPFAR-funded HP+ project included a focus on stigma and discrimination towards youth in health facilities in an evaluation study of health facility-based stigma and discrimination-reduction interventions in Tanzania. Based on findings and lessons learned in Tanzania, this workshop will include a presentation on the baseline data and how it shaped intervention design and share participatory stigma and discrimination-reduction activities focused on reducing stigma and discrimination towards youth in health facilities. HP+ has five sessions at this pre-conference event. All oral poster presentations will take place in the poster exhibition area, Hall 1, on the ground floor between 12:30 and 14:30.